Photo by Jay W. Bennett Members of the Parkersburg High School volleyball team pose with the Class AAA, Region IV, Section 1 championship plaque following Wednesday night’s sweep of rival Parkersburg South inside the Rod Oldham Athletic Center. 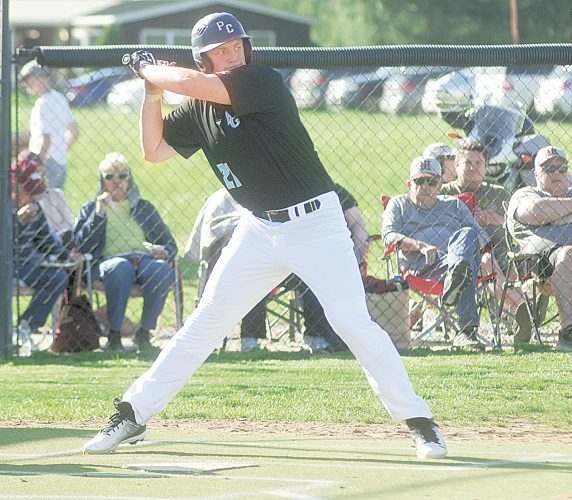 The Big Reds and the Patriots advance to the Region IV semifinals at 2 p.m. Saturday inside Cabell Midland High School. Photo by Duane West Parkersburg’s Shelby Roberts, right, and Parkersburg South’s Alana Brigner try to make a play at the net during Wednesday’s sectional championship match at the Rod Oldham Athletic Center. PARKERSBURG — No. 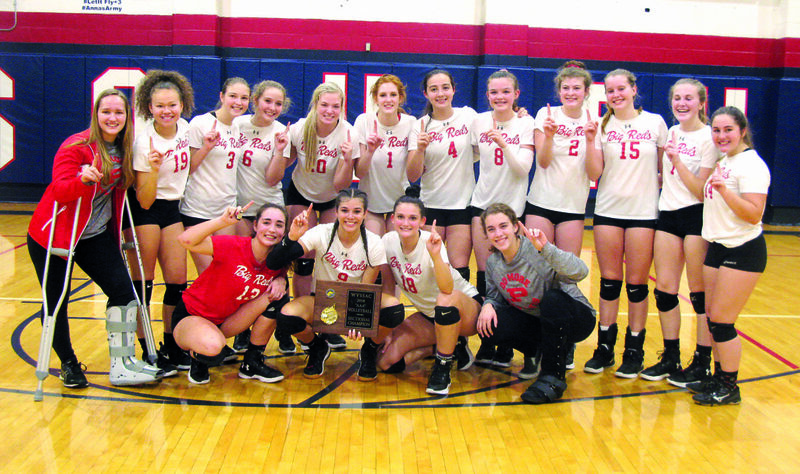 2 seed Parkersburg High School swept its way to the Class AAA, Region IV, Section 1 volleyball championship here Wednesday night inside the Rod Oldham Athletic Center. Despite having lost starters Grace West and Maggie Sauers to season-ending injuries, the Big Reds of head coach Erin Thorpe eliminated third-seeded Ripley — 25-12, 25-15 and 25-11 — before besting top-seeded and host Parkersburg South by scores of 25-12, 25-22 and 25-22. “Having people injured like that and obviously they are great players, but we can’t let that affect us,” said PHS senior Shay-Lee Kirby, who had match-highs of 13 kills versus Ripley and then 19 against the Patriots. 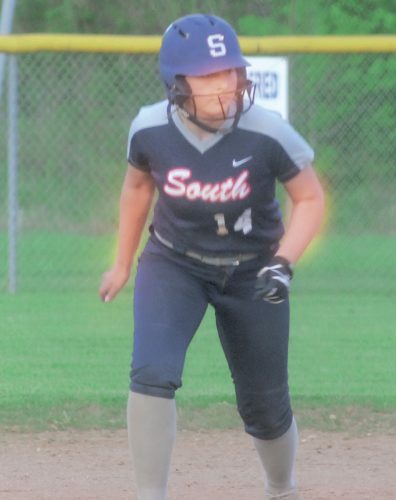 Parkersburg South head coach Becky Bennett’s squad will carry a 19-18-5 record into Saturday’s regional semifinal, which is slated to get underway at 2 p.m. at Cabell Midland High School. 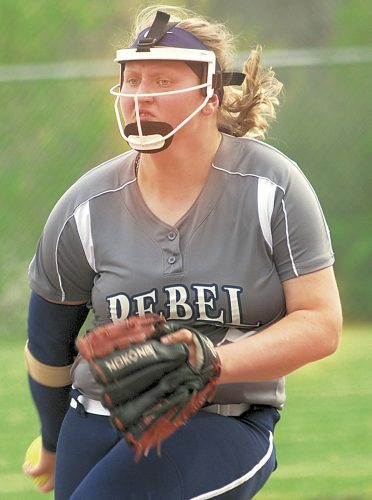 The Patriots will face Section 2 champ Spring Valley, which is unbeaten, while the red and white will take on the host Knights. “Not disappointed in the loss itself. Disappointed in how the loss came about,” said Bennett, who got 11 kills and as many digs from McKayla Kemp. “Never a problem losing to a team when you play well. Playing the way we did. we’re not happy about that. PHS birthday girl and libero Hannah Adkins served for an ace to open set one of the finals and the Big Reds never trailed. Kirby put down four kills early on and when Shelby Roberts (13 assists) registered the first of her baker’s dozen downed spikes, coach Bennett called timeout down 6-1. Jacqui Foggin’s kill from a Rylee Harris assist in set two gave the hosts their first lead in the championship match at 2-1. Despite six Big Red service errors, PSHS only managed a 14-11 lead and that was trimmed to one at 14-13 after Big Red Anna Umpleby served up an ace. South kept the lead at 16-14 and 17-16 thanks to kills by Kemp, but a Kirby and Kristen Lowers (match-high 22 assists) double block on Foggin gave PHS the lead for good at 18-17. Patriot Sierra Hays had a kill and Foggin later followed with a pair of service tallies to close the deficit back to one again at 23-22, but Kirby got a block on Alana Brigner and then Umpleby got a kill on set point thanks to a bad Patriot serve-receive. In the must-win third set, PSHS tallied the first two points on kills by Kemp and Cassie Fink, but Kirby went to work and put three to the floor. Hannah Hewitt followed with a kill from the back row, Umpleby registered two more downed spikes and then MaKinzie Hewitt also had a kill for an 8-4 PHS lead. 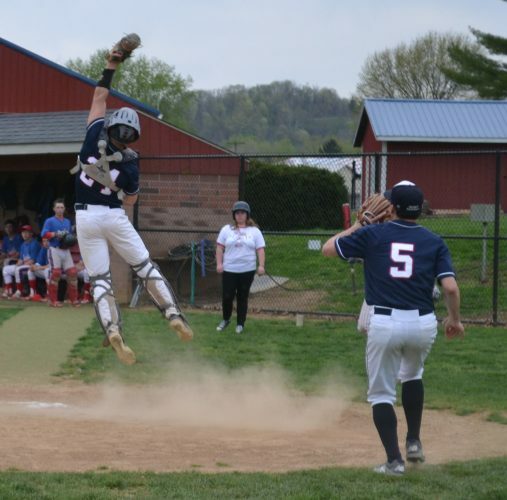 The Patriots eventually managed to take a 20-19 advantage after a pair of PHS attack errors, but a Lowers kill was followed by another smash from Kirby as the Big Reds never looked back with Umpley’s kill earning match point and the sectional crown. 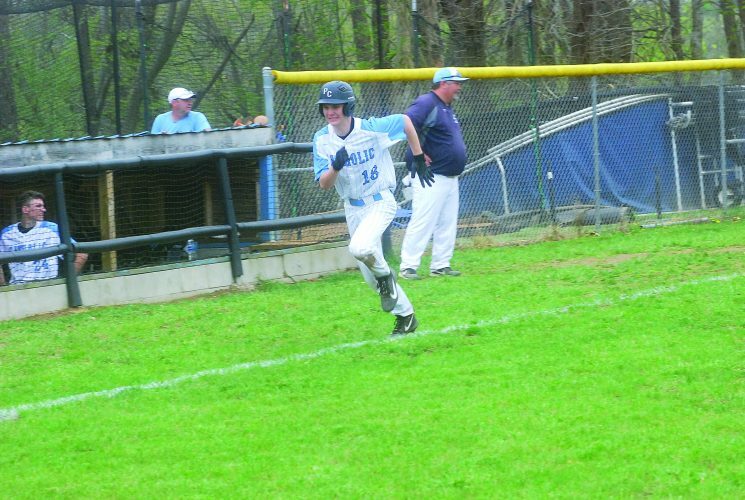 “That’s big for us,” said Thorpe, whose 25-20-8 team defeated Cabell Midland for the first time all season the last time they met. “They played phenomenal and you know that’s what this team is all about. 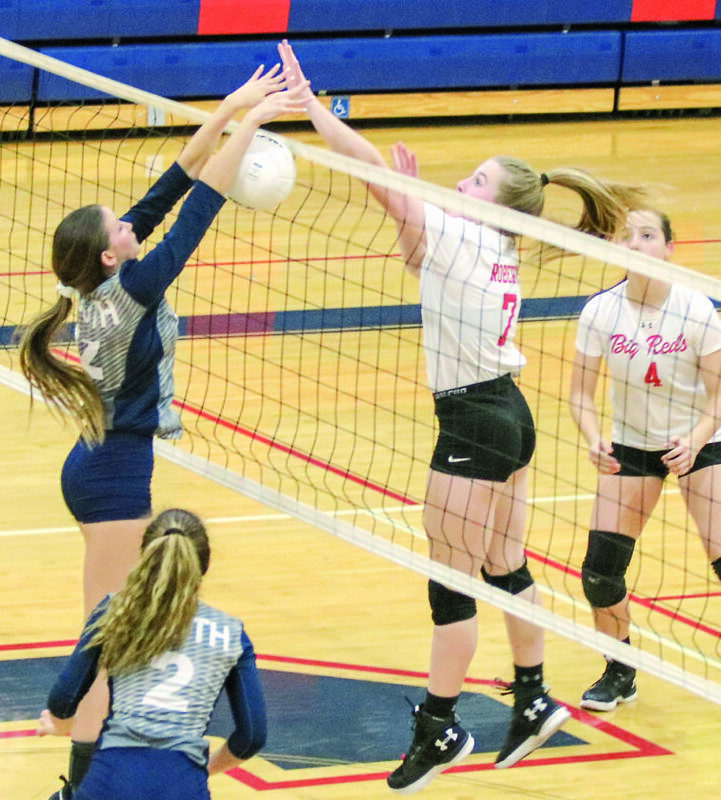 Thorpe was worried about going up against Ripley, which was led by Katlyn Sarver’s four aces and four kills as well as Haylee Casto’s three kills, but the Vikings (17-27-2) couldn’t get anything going. “I’m excited,” Thorpe continued. “Coming in, we had a couple rough days of practice. I didn’t even know if we were going to beat Ripley because we were playing so bad.